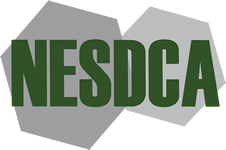 NESDCA uses the information in this application to determine your qualifications for memberships, renewals, certification requests and to ensure that NESDCA will contain a fair balance of interests. NESDCA will not use this information for any other purpose than the above. Please provide us with as much information as you feel will assist us in the process. Use this form to apply and pay for your membership online. MEMBERSHIP/RENEWAL FEE: Regular is $225.00 annually for 1st membership, $110.00 each additional member. CERTIFICATION FEE: There is no fee to be evaluated for certification. (Travel expenses will be required if requested other than NESDCA scheduled evaluation/certification events) SEE "FEES" UNDER CERTIFICATION RULES. Please include ALL teams for which you are requesting membership status and/or certification. For NESDCA purposes a team consists of one (1) handler and one (1) canine. If a handler will be associated with multiple dogs, please complete an entry for EACH pairing. Are you requesting to host a certification exercise? If you are requesting to host the certification, please note that as the host team you will need to provide a site suitable to conduct the certification exercise. Additionally, hosting teams are responsible for providing hides suitable for use in the exercise. Please review the NESDCA Certification Rules for the requirements to be met by the hosting team. Please Note: Fees and expenses associated with travel will be required if certifications are requested at a time other than regularly scheduled NESDCA certification events. Due to business considerations all NESDCA correspondence will be conducted via e-mail only. Abide - I agree to abide by the RULES and BY-LAWS and agree to notify NESDCA of a change in status, including change of employment, organization represented, location or funding source.